Platinum is synonymous with success, and at the 139th AES International Convention, the Platinum Engineers and Platinum Producers Panels will feature a host of top industry pros, who will provide real-world insights into creating chart-topping recordings. As part of the Special Events program available for free to Exhibits-Plus badge holders, as well as All Access attendees, this series is sure to be among the most popular events at this year’s AES, taking place October 29 – November 1, 2015 at the Jacob Javits Center in New York. The series kicks off with Thursday, October 29’s Platinum Latin Producers and Engineers session from 2:15 – 4:15 pm, moderated by Audio Engineering Society President Andres A. Mayo of Andres Mayo Mastering and Audio Post of Buenos Aires, Argentina. These multi-GRAMMY®-winning pros will offer insight on their latest work, discussing the main concepts in music production, and will open the discussion for an audience Q&A session. Stefano Vieni, KIVA Music Inc., Woodland Hills, CA. The Platinum Producers panel, “Bad Vibrations,” will take place on Friday, October 30, from 9:15 am – 10:45 am, moderated by Errol Kolosine, Assistant Arts Professor and Academic Director at the NYU Tisch School of the Arts. The panel will discuss some of the worst distractions, impediments and energy vampires in the studio – and how to combat them. On Saturday, October 31, from 9:15 am – 10:45 am, legendary mastering engineer Bob Ludwig of Gateway Mastering Studios (Portland, ME) will host the Platinum Mastering session, where a panel of renowned engineers will discuss the creative process behind some of the world’s most famous and top-selling albums. They’ll talk about the creative elements of the mastering process that made these recordings so special, play examples and take questions from the audience. 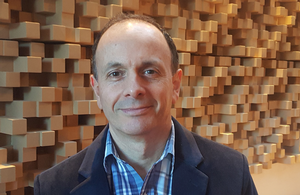 AES President-elect John Krivit said, "The Platinum Series is a rare opportunity for anyone coming to AES 139 to learn the secrets to making great recordings from the top minds in the audio industry. This is up-close intimate access to learn from the creative and technical masters." Additional information about the AES Platinum Series panels is available at: http://www.aes.org/events/139/specialevents/. For the latest information on the AES139 Convention in New York City and how to register for your FREE Exhibits-Plus or premium All Access badge, visit http://www.aes.org/events/139/.